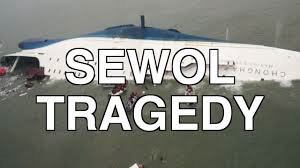 Yet again another disaster and that is the sinking of a ferry in South Korea. My heart goes out to the victims and their families. It was reported that 216 students and teachers are still unaccounted for and pray that they are not all on board the ferry. It is unlikely the authority will get the correct numbers of headcount from the tickets sold and even if they do they will not have the names of people on board. Unfortunate accidents happened and no one can predict. However the professionalism and responsibilities of staff of the ferry is really something to be ashamed off. The Captain told the students to remain in their cabins and most students did so. In time of such it is right to listen to instructions so as to minimize confusions and to save everyone systematically. However the Captain is not thinking fast enough and I wonder whether he expected the ferry to topple over. Those that listen to instructions and stayed in the cabins probably have perished. The first group to leave the ferry as reported is the Captain and staff . Being staff and having so many lives in their hand, how can they be the first to abandoned ship? But to think again, isn't it common for people to think of their own safety first? I have never felt that the helplessness of human beings is so fragile. We are at the hands and mercy of others and I wonder how many realized. In the sky we are at the mercy of the pilots and the company that operate the plane to ensure the safety and functionality of the equipment. We are also at the mercy of the government to ensure that security is in place. Actually we do not know who we are sitting with nor flying with. At sea, it is very low for accidents to happen. We have the Tatanic which was a sad incident and people romance the whole episode to a love story. So many have died and all we watch is romance of 2 persons. I never watch this movie. Now this South Korean ferry incident whereby lives are lost and most are students and teachers of the same school. How are other students going to go back to school without being psychologically affected? Now that the report mentioned that adults are the one who gave instructions and students just follow and lost their lives so how are children going to trust what adults said in future? The parents of the missing students must be heartbroken. We really am living second to second as we do not know not what will happen next. I never realized the sufferings of human beings so close to heart although we have been practicing compassion. 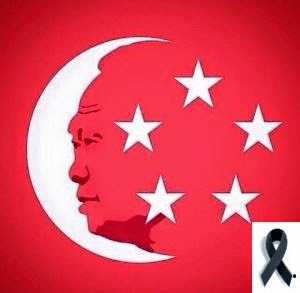 I make my deepest respect to those who gave up their lives to save others,, i.e like those who scarified during the Szechuan Earthquake, the Japanese Tsunami, now the students on SEWOL who tried to save others first by giving up their life jackets. There are many more unsung heroes. But there are others who keep trying to take the lives of others to satisfied their own selfish needs, be it at personal or countries level and those who keep developing chemical weapons and weapons and claiming as many lands as possible to gain the World. No matter what extreme ambition a person have, they will never own the World - simple reason "you are not going to live forever". I pray for the safety of all human beings and may there be no more such sad disasters. There are also so much sufferings in Middle East and may the people there too be safe.